Dandelions. Photo by Kristen Rasmussen. For Wild Food Week, a project called Berkeley Open Source Food will be hosting a series of events and meals this week to encourage diners to expand their palates for wild food—essentially, foods grown without human aid, including many plants typically considered weeds. In the Mission, diners can attend a special preview on April 8th of the soon-to-open Perennial at Mission Chinese Food in which chef Chris Kiyuna will incorporate wild foods into the menu. Unusual plants on the table include things like nasturtium, plantain leaf, yarrow, miner’s lettuce, mallow, sow thistle, and more. For the crew behind the Perennial, the super sustainable endeavor by partners Anthony Myint and Karen Leibowitz, using wild plants has the benefit of having a smaller footprint and minimizing food waste. In any given farm, labor and resources go into growing the cultivated plants that farmers want and the wild plants that farmer’s don’t want. It’s those later ones that will be featured in Wild Food Week. “It’s been really interesting to work with farms and talking to them about what they could do source these things that they typically think of as pests,” said Leibowitz. In addition to water, labor, and fertilizer going towards producing numerous species that are ultimately tossed aside, large parts of the plants cultivated for sale get thrown out as well. Kristen Rasmussen, of Berkeley’s Open Source Food and a nutrition professor at UC Berkeley, says that eating wild food may not just be good for the planet, but also for your health. “Wild foods are high in potassium, magnesium, and many things Americans are generally lacking,” she said. In prepping his menu, Kiyuna had to decide what to do with yarrow leaves which he describes “really pungent, really strong, really intense.” The question was whether to try to fold into more convention format, say a pesto, or let its form shine through in a more obvious way. For the most part the Perennial team plan to forefront the wild plant’s funkiness. 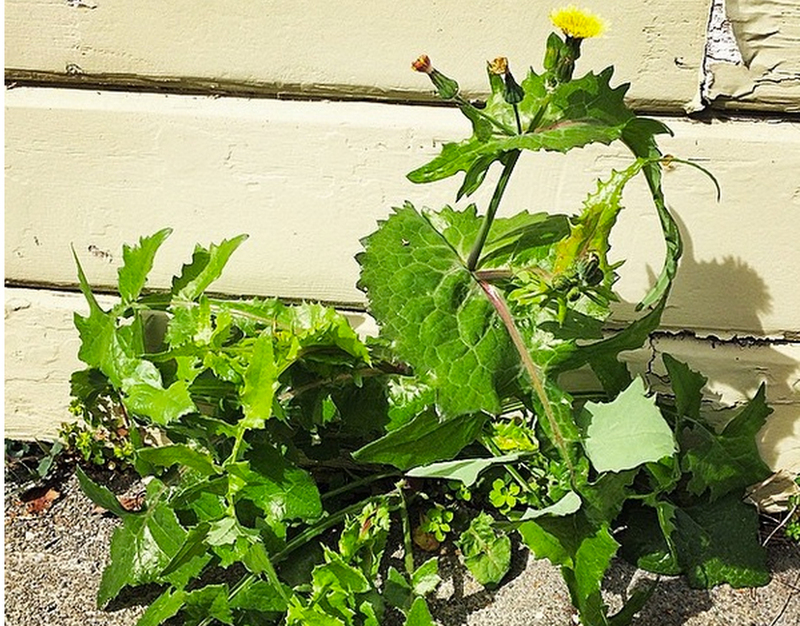 To participate in Wild Food Week in the Mission, you can join the special preview of the Perennial on Wednesday, April 8 at Mission Chinese Food. For tickets and information on more events visit Berkeley Open Source Food’s website.